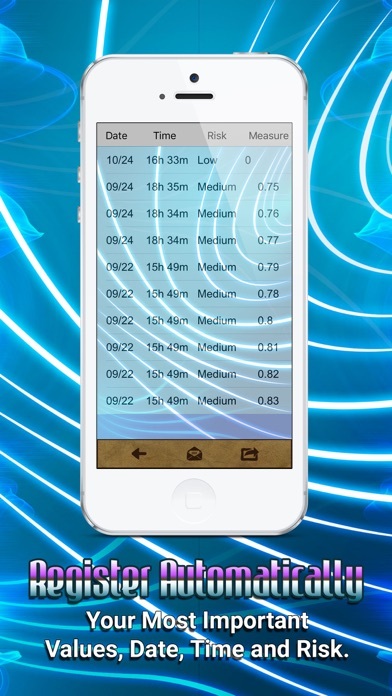 Detect the electromagnetic fields near you, known as EMF. It's not necessary an expensive electronic equipment. Your device is already a sensor to detect EMFs. 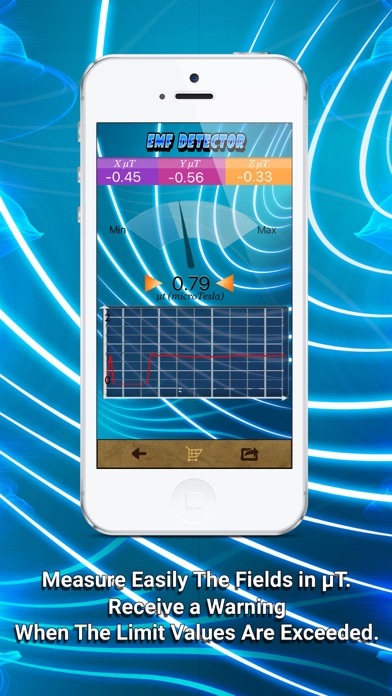 Track when a high magnetic field has been measured while you take the mobile with yourself. A warning beep will be activated to warn you and prevent health problems. Use "Electromagnetic detector" as a scanner or as a EMF detector to detect high risk wireless zones. Check if your bed is EMF free! Appliances, microwaves and sockets could be now radiating you. 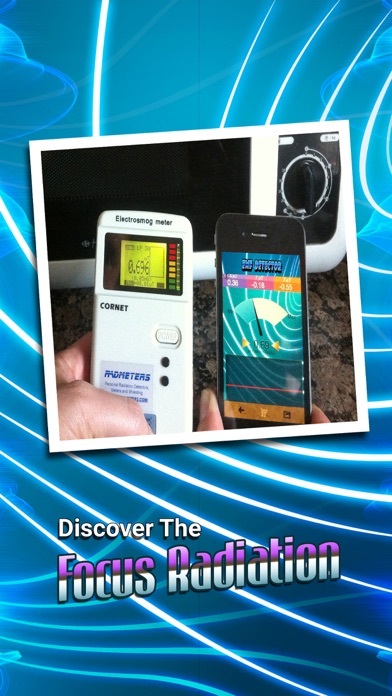 Convert your iPhone into a EMF Meter (electromagnetic field tester) or as a teslameter. By using the internal compass hardware. You can view the raw data of the magnetic fields that are all around you on a digital display. Over a thousand research studies have linked EMFs to important biological effects. EMFs have been associated with symptoms such as nausea, headache, fatigue, anxiety, mental confusion, memory loss, sleep disturbance, itchy or burning skin sensations, and skin rashes. The electromagnetic radiation come from broken or lose wires behind the wall, or electrical socket, appliances and other electrical devices in the home. Finding pipes or other metallic objects under ground or behind walls. Detecting the presence of ghost. Clocks and radios near the bed may also contribute. 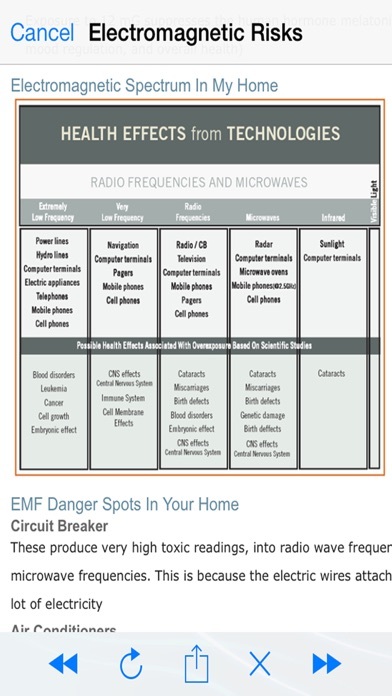 Exposures to EMFs from cordless phones, cell phones, wireless computer equipment, Wi-Fi, etc. Scientist, Teachers, Students, Engineers, all use EMF Meter's for detecting magnetic fields of all types. ***Features: -You can track when a high magnetic field has been measured and when, so the current time is stored. -Warning beep near focus radiation. -Detect the strength of Magnetic force fields on all three axis’s (x,y,z). -Magnetic force is calculated in microteslas ( µT ) -Record your readings with a time & date stamp of each event. -Store until 100 records. -Send measures by email. Please observe and respect the iPhone user manual and warranty if you intend to use your iPhone as a scientific device. We are not responsible for any damage that you or any other force of nature may cause to your device. Tips: You may calibrate the detector by moving the iPhone in the form of an 8. Note: This app will not work on an iPod Touch, since it does not have a compass hardware. This app is intended for entertainment purposes only and does not provide true Metal Detector functionality. 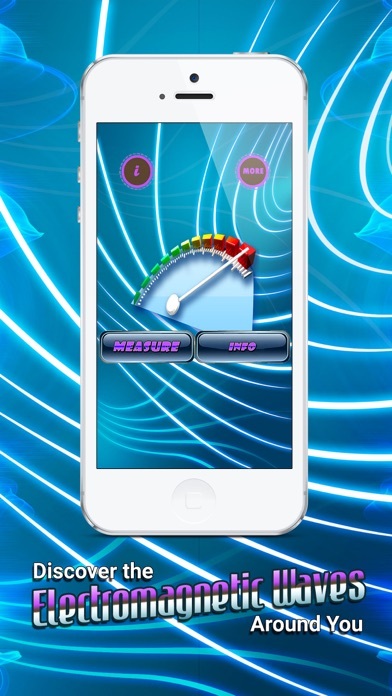 This apps uses the magnetometer to measure the magnetic field when the iPhone is placed near feromagnetic metal objects. If you would like to have a feature added to this app. Please let us know, so that we can make this happen as soon as possible for you. Download it now to prevent stay near magnetic radiations! (EMF). This app does great like it supposed to do.. I love it!! Seems to work well, and is quite informative to say the least when it comes to detecting electromagnetic waves. I’m still playing with this one. Seems pretty good compared to others I have tried. Easy to use. Fun and helpful. Interesting to see how different things in my home emit radiation. This is the first time that I have done this and the app is very easy to use. I just got the app and I like it so far. I don't know about the advertisements though. App is very informative and extremely interesting i love it! I have answers to many questions! I’ve been having some weird things happen around my home and no one seems to care. I have had the app along with another one to find spy cameras and so far have found 2 devices in my house that are very questionable.